Dozens of Arabs threw firebombs and rocks at IDF in Hevron. It all stopped when the ringleader was arrested in an ambush. Dozens of Arabs threw firebombs and rocks at IDF forces in Hevron Friday, until their ringleader was arrested in an IDF ambush. 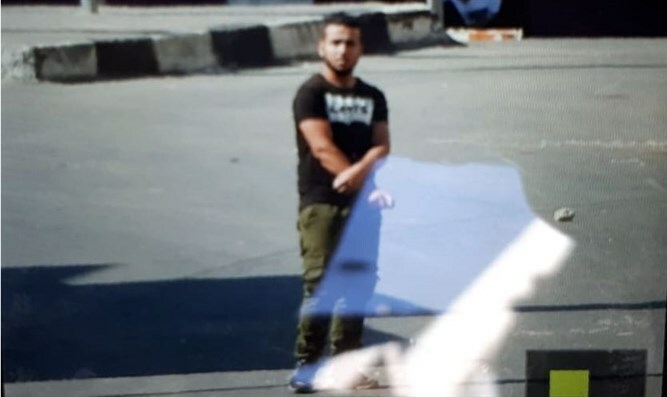 A team from the IDF's 636th Battalion, which specializes in field intelligence, was able to identify the terrorist who led the violent activity. This enabled a force from the Nahal 932nd Battalion to carry out a successful ambush, catch the suspect and bring him in to be questioned. His arrest brought about the immediate cessation of the violent rioting. Captain Yair Ben David, commander of the "Palhod" company in Battalion 932, told Arutz Sheva that the Nahal Brigade warriors have been serving in Judea for the past four weeks, and have been protecting the Jews of Hevron and preventing Arab terrorism around the clock. He praised the Jews of Hevron for making the soldiers feel at home. "There isn't a guard position that doesn't receive a cup of coffee, and every soldier receives a smile and a hug from the people of the Jewish community of Hevron," he said.